Mentioned books helped me to understand how to mix Gin Fix in the old way. Modern sources in the Internet are not so united in this matter. 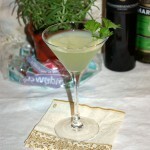 CocktailDB gave me Gin Fix recipe with huge amount of gin but in general it’s similar to the old recipes. The problem was to understand why Simon Difford suggests to use sweet fruit juices instead of simple syrup (or sugar dissolved in water; it’s equal to sugar syrup, isn’t it?). Also there were questions about preparing and serving methods after I’ve red Eriech Empey’s article about Fix and Daisy. Swizzle was added there to previously found build (CocktailDB) and stir methods (Harry Johnson, Harry Craddock). 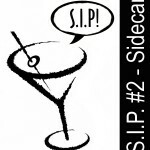 After discovering so many details I’ve gave a try to stirred and builded Gin Fixes and then finally sat and compiled a list of the cocktail’s variants I should try. I prefer to stir my Gin Fixes – once in a glass half-filled with crushed ice and lightly in the ice full glass for the second time. Also I use colourless liqueurs and syrups as a sweetener: triple sec, maraschino and peach liqueurs, orgeat and pineapple syrup. 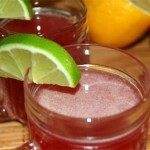 5-10 ml simple syrup (omit if colourless syrup used instead of liqueur). Combine all ingredients in a tall glass half-filled with crushed ice. Stir. Add crushed ice to top and lightly stir one more time. Serve with a straw. 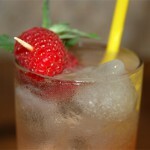 Garnish with lemon wedge and maraschino cherry. I’ve tried here gins of three brands: Bombay Sapphire, London Hill and Beefeater as well as Bols Genever. Later Bombay Sapphire was excluded from consideration because its flavour was too strong for the cocktail. Bols Genever was outstanding in combination with Luxardo Maraschino and lemon juice. The cocktail’s taste looked like perfect composition of genever’s delicate malt and juniper, maraschino floral and almond notes and lemon sour freshness. 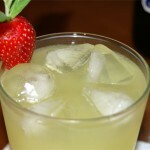 Genever & Maraschino Fix is wonderful – refreshing and smooth drink with perfect balance between sour, sweet and dry sides. Pair of London dry gin and maraschino liqueur creates more energetic flavour where gin dominated in the taste with tangled bouquet of angelica, juniper and bitter almond. 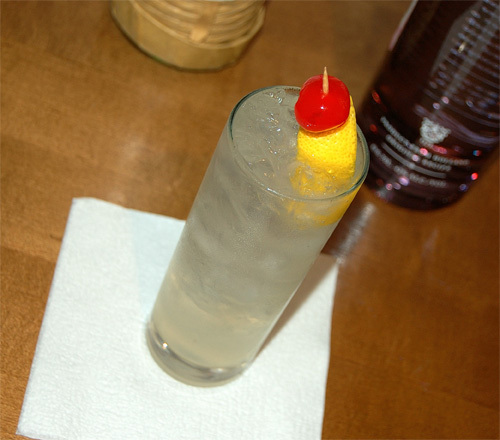 In the aftertaste gin shared its almond note with maraschino which also added more sweet touches of lime tree flowers. Lemon was there too bringing distinctive sour and fresh citrus flavour to the taste. The second liqueur I’ve used in my Gin Fix was DeKuyper Peachtree Schnapps, a colourless liqueur with strong peach and almond aroma. Here gin was a dominating side too. 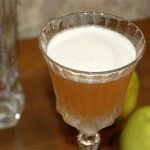 Strong almond flavour of the liqueur integrates with delicate bitter almond in Beefeater Gin. Along with juniper note, they were most prominent flavours in the Gin & Peachtree Fix from the start and to the end. Sweet peach came on the palate, and it was so tasty when peaches thick sweetness combined with sour lemon juice and dry bitterness of gin. I was a bit skeptical about this low-cost DeKuyper product but I must admit it was a good try and Peachtree liqueur can be nice addition to Gin Fix especially if maraschino liqueur is unavailable at the moment. Last liqueur I wanted to try in Gin Fix was Cointreau, a best triple sec in my opinion. 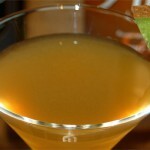 I supposed that there will be no something new as the combination of triple sec, gin and lemon juice is well-known. My further experiment showed important lack of energy from Cointreau in the mix with gin. The liqueur failed to resist to gin’s bitter herbs. Even smooth London Hill Gin aroma proved to be too powerful for Cointreau. 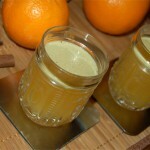 It worked mostly as a sweetener and also improved gin’s citrus side with sweet orange zest note. So this variant appears as a classic Gin Fix but with light orange note in the aftertaste. It was refreshing, a bit dry, sour and sweet but nothing else. Gin Fix sweetened with a liqueur is a modern drink. Classic Harry Johnson’s Gin Fix recipe calls for syrup – pineapple syrup, to be precise. That’s was in my plan but pineapple syrup was a thing to be obtained: I want to make a small batch of the syrup on my own and to look for commercial syrup in local stores. While pineapple syrup remained unavailable, orgeat has became my option. 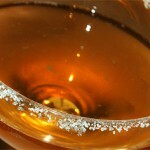 This French almond syrup is well-known since early times when cocktail culture just arose. For my «syrupy» Gin Fixes I’ve slightly changed the recipe and took 20 ml Monin orgeat syrup instead of 15 ml liqueur and 10 ml simple syrup. In the absence of fruit flavours my Gin Fix turned to a cocktail with more harmonious and integral taste. Strong sweet almond with subtle bitter note prevailed as juniper and tart lemon worked together making great dry background for almonds. Light citrus hint in the end was fantastic, it completed the composition perfectly. Gin Fix with orgeat and especially with genever was the best one in my opinion. Quite unexpected but it’s true. It happened so that I’ve bought a bottle of Monin pineapple syrup just a day after I’ve cooked my homemade pineapple syrup. For homemade syrup I’ve took one small pineapple as ripe as it was possible. I’ve cut peeled pineapple to the small pieces and let it steep in freshly made hot simple syrup. After a night my syrup was ready. It was light and aromatic but not saturated enough to compete with gin aroma. So I’ve made the second batch of the syrup and then I boiled pineapple pieces in the thick sugar syrup (2:1) for 3-5 minute. Even with my second batch syrup gin was dominating in the cocktail. It was mostly juniper and citrus notes that formed flavour profile. Lemon worked well with light pineapple aroma in the aftertaste. And maybe that’s right to get a little from pineapple here because it’s Gin Fix but not a tiki drink. With Monin pineapple syrup that was quite different. This syrup was adequate adversary for gin, and in combination with lemon juice it has managed to overpower strong gin aroma. Gin Fix with Monin Pineapple brought vigorous fresh fruit taste with a hint of pineapple candies and with light citrus and herbal bitterness in the end. The flavour’s lack of complexity appears unimportant as it won over with energy and delicious fruit aroma.